FAIRBORN — Boys and girls aged 6-9 years old are invited to show off their patriotism for an opportunity to be crowned the Fourth of July Lil Miss and Lil Mr. Fairborn. The competition takes place 6:15-7 p.m. during the annual Block Party and does not highlight frills, glitter and glam similar to a traditional beauty pageant. It instead focuses on the participants personality, confidence, poise, knowledge concerning the Fourth of July and their ability to speak in full sentences in front of a crowd. Participants are not asked to “doll up” before the competition, as the dress for the annual event is casual and highlights red, white and blue. 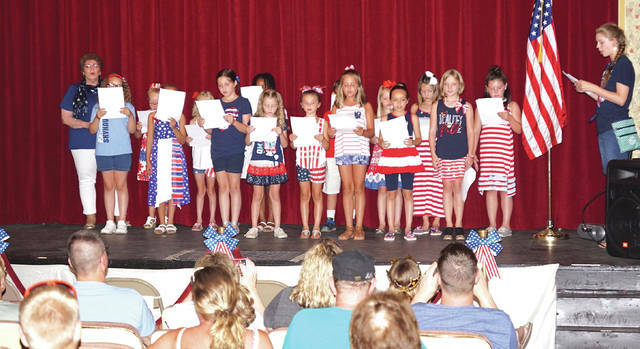 They’re asked one-to-three questions relating to the Fourth of July, their school, family, talents and/or sports and have approximately 30-40 seconds of addressing the crowd. Participants learn a song during the intermission of the contest and the audience is asked to join into the singing if they wish. Registration opens at 5:15 p.m. Tuesday, July 3, just before the competition starts at 6:15 at the Actor’s Theatre, 23 E. Main St. Participants must pay $5 upon entry; cash or checks are accepted. Children must belong to the Fairborn City School district and be between 6-9 years old as of July 4, 2018. Three local judges will decide the winners, who will receive a plaque, sash and crown and will have the opportunity to ride in Fairborn’s Fourth of July parade. The parade is slated for 10 a.m. Wednesday, July 4, starting at the Fairborn Plaza, rolling down Central Avenue and ending at Main and Broad streets. 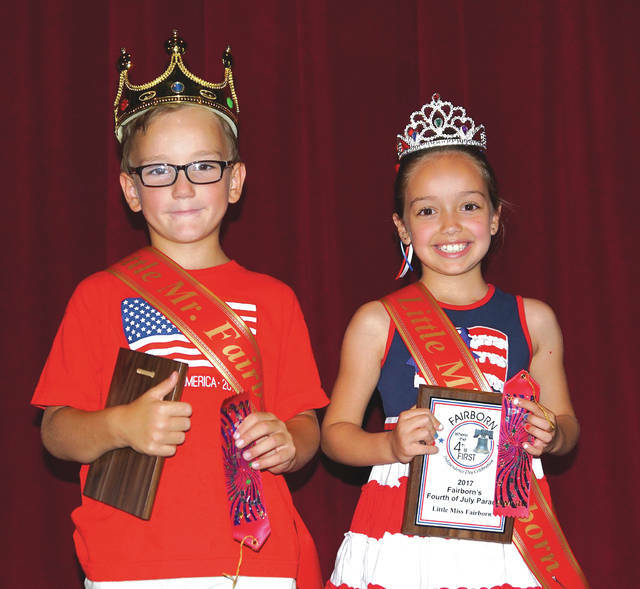 Lila Malcolm and Matthew Haines, both of Fairborn, were crowned last year as the Fourth of July Lil Miss and Lil Mr. Fairborn.